We are often asked by our customers for an exact definition for what is distilled water. Our customers are often told that a piece of machinery needs distilled water but not the reasons for this. When water is extracted from the sea, lakes, dams and reservoirs, it contains impurities that make it less desirable for use in industrial, medical and even household applications. 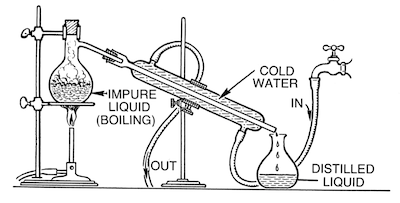 As a result, it’s taken through a process of distillation, which involves heating up the liquid until it transforms into vapor. Once water has completely turned into steam, it’s condensed back into water in a clean container. The resulting liquid has less contaminants and can now be used for a variety of purposes. While there’s no specific record of when distilled water was first used, it dates all the back to Aristotle’s era. Records show that sea water was distilled in ca. 200 AD to create safe drinking water for entire populations. Over the years the process has become more refined, using less energy and time. What is distilled water used for? Is distilled water safe for drinking? Depending on the level of purification, distilled water is usually safe for drinking. This is the case when the liquid is sourced from a reservoir that was contaminated with toxic compounds that are poisonous for human consumption. However, the process is also known to remove certain essential minerals such as magnesium, iron and calcium, and electrolytes such as potassium and chloride. This makes it less desirable for long term drinking, which may require other forms of purified water. The Distilled Water Company is the UK’s largest supplier of distilled water to businesses and domestic customers in containers from ten litres through to 1000 litre IBC’s. We ask you to accept cookies in order to use our website. These cookies are used for performance and advertising purposes. We also share information about your use of our site with our marketing, and analytics teams. These cookies collate data on how our website is used. They also allow us to serve you tailored adverts that are relevant to your interests. This also includes Required cookies. These cookies are required for you to use our website and for it to function properly when browsing (and purchasing).